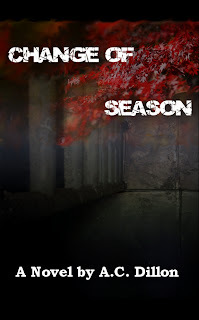 The Change of Season Blog Tour is presented by AToMR Blog Tours. The music suddenly began to stutter and skip, the title of the song repeating over and over as if on a loop. Puzzled, Autumn scrolled the mouse to the skip button. Corrupted file, she thought bitterly. Overhead, the light began to flicker. A chill crept along her spine as she stared at the ceiling fan, its pot lights seeming to wink at her as they lit up and dimmed in a rhythmic pattern. Dying bulbs? All four at once? Her computer plunged into darkness, all power lost. She struck the laptop in anger, checking the power cord. It was firmly in the wall and connected to the base. Has the fuse blown? She groaned in frustration. Of course. My light’s screwed and my outlets are dead. Could this night keep sucking? From the periphery, she watched her bathroom light up on its own and felt her stomach drop. Fuses do not do that. Reluctantly, she rose to her feet, edging forward in a shuffling gait towards the ugly yellow fluorescent light. Time seemed to jump, cutting in and out like a poorly edited movie. Her stomach lurched from the disorientation, the bile and coffee churning wildly. And she did have to. She had to reach out and find reality. Her hand connected with the door frame, pulling her inside the magician’s box, where the night played its tricks with illusion and sleight of hand. On the floor sat a girl, dressed in a blue floral summer dress that seemed a cast-off found in the Salvation Army bargain bin. It hung off the girl’s shoulders just slightly, revealing the sharp relief of collarbone beneath flesh. Too thin. A cascade of crimson curls danced down her back, tethered with a black scrunchie atop her head. Her head bowed as if in prayer, she remained silent, motionless. The light flickered twice. Strobe light. Dance, puppet. Showtime. Autumn stared speechless, blinking hard only to find this curious visitor remained. Somewhere in the walls, a sigh slipped out, tumbling from the overhead vents. The head rose, tilting as if alerted to the presence of an audience. Her china doll hands were pressed to her face as she slowly turned, her neck craning at an impossible angle. Vacant black pools for eyes, she stared at Autumn, studying her visage as if seeking her own truths. Laughter in the walls. Jaded, sarcastic. Autumn was paralyzed, the rabbit in the headlights waiting to be struck. Willing victim, obedient and still. Porcelain hands fell away from their macabre game of Peek-a-boo to reveal the battered face of Mary Kennedy, no longer as pretty as her picture. 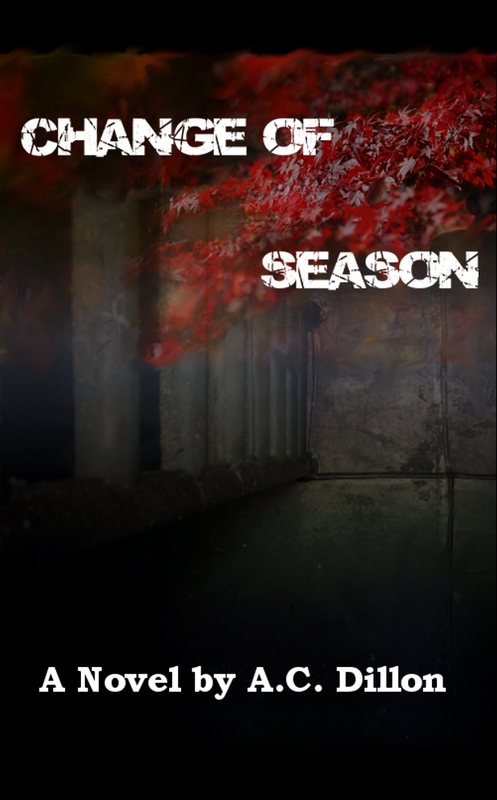 Bruised lips parted, unleashing rivulets of blood that coursed over her chin and pelted her dress. "Thief of hearts!" she screamed, gurgling blood. And Autumn screamed with her, reality crashing in as she fell backwards onto the floor. Her body convulsed with sobs as she pressed her hand to her eyes, refusing to see. It can’t get you if you don’t see it. It can’t get you in the light. Every old lie about protection from the things that bumped in the night became a mental talisman as she cried out uncontrollably, willing her body to expire already, to be free of its hell. Hands shook her shoulders and she screamed harder. It’s all real, she understood. If he doesn’t kill me, the ghosts will. A.C. Dillon is an insomnia-driven Canadian author who enjoys parlaying personal sleeplessness into keeping readers from their own slumber. When not sending a laptop into steaming fits of overworked rage, A.C. can be found listening to a formidable music collection or watching Empire Records for the 338th time. Certainly an intriguing story & I do want to know what is meant by “a Chbosky wallflower”.